Registered nurse schools in Arizona provide you with a combination of informative classroom lectures and in-depth clinical exercises. These programs prepare you to demonstrate proficiencies in information management and critical thinking, and exhibit good communication skills with patients, their family members and other medical professionals. You also learn to apply the nursing process in a variety of work settings. RNs are in high demand all across the United States. If you also want to have in-demand and the most rewarding occupation in the area of healthcare, enroll in an approved RN program soon. The aspirant must meet the eligibility criteria as mentioned below to get admission in the RN school. The age of the applicant is expected to be eighteen years or above. The student must have legitimate photo identification. The candidate must be a high school graduate and must provide a CPR (computer generated certificate). 75% or higher score in Math and 85% or above score in the English language is a must. An aspirant must provide fingerprint clearance card. It is necessary for all the students to clear the drug test and criminal background check. Associate Degree in Nursing: The curriculum consists of fundamentals of nursing, liberal arts and science courses along with hands-on program at variety of clinical settings. The main objective of ADN program is to equip students with the essential program and education, in order to prepare them for successfully fulfilling the responsibilities of an RN. Bachelors of Science in Nursing: BSN program is a comprehensive course that incorporates concepts and theories from liberal arts into practice. With a bachelor degree, an RN can advance his/her career in the medical world. This program comprises of classroom and clinical education that promotes high-quality, safe and competent nursing practice. Hence, students will develop proficiency in different areas, such as pediatric nursing, health assessment, psychiatric nursing, pharmacology, obstetrical nursing, etc. It takes four years to complete the curriculum. Direct Entry MSN Program: The direct entry MSN program is an accelerated track for the non-nursing baccalaureates. 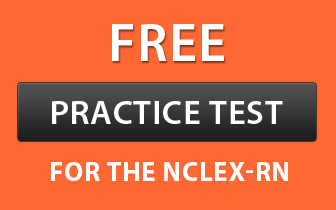 It consists of an intensive curriculum, successful completion of which allows aspirants to take the NCLEX-RN exam. Accelerated BSN Degree: This program is meant for those individuals, who hold a degree in an area other than nursing, and want to become a registered nurse. It takes 12 to 18 months to complete it. LPN to RN: LPN to RN track is a degree program designed for the qualified LPNs, who wish to pursue an associate degree in nursing in order to become a registered nurse. This program helps LPNs to strengthen their base and develops advance competencies for meeting demands and challenges of the healthcare sector. RN to BSN Program: The registered nurses with a diploma or an associate degree can pursue this program. It is designed for nurses, who want to further their education while using their previously earned work experience. The candidate needs to complete the coursework in order to qualify the National Council Licensing Examination (NCLEX-RN) for obtaining the RN licensure. Master of Science in Nursing: MSN program is a pathway that provides rigorous program to RNs so that they can counter the complexities of the nursing career. It increases competency and dexterity of the registered nurse by inculcating advance and high level knowledge in them. The holistic curriculum prepares nurses for different roles, like nursing leadership, nursing informatics, nursing education, and public health. Doctor of Nursing Practices (DNP): DNP coursework is for those individuals, who currently hold a master degree in nursing. It is a practice focused doctoral program that transforms highly qualified nurses into leaders and enables them to apply their nursing knowledge into practice. Here is the list of state-accredited RN institutes and centers in Arizona.